Meet Marc. Supply Chain Graduate. On the Supply Chain Graduate Programme, there are three core job roles I take on. I'm in the first role, which is Manager of the Goods-In department. My team consists of between 30 and 50 colleagues, depending on how much work we have scheduled. 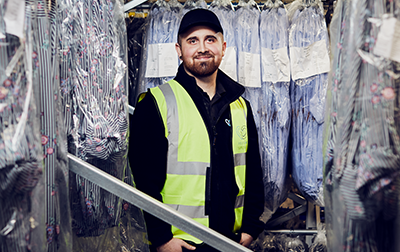 Goods-In is the entry point of stock in to the warehouse, so attention to detail and efficiency are essential, to ensure that only the correct amount of quality stock is taken into the warehouse, at the right point in time. Before coming here, I spent a lot of time thinking about which graduate scheme would be best suited for my aspirations and skillset. 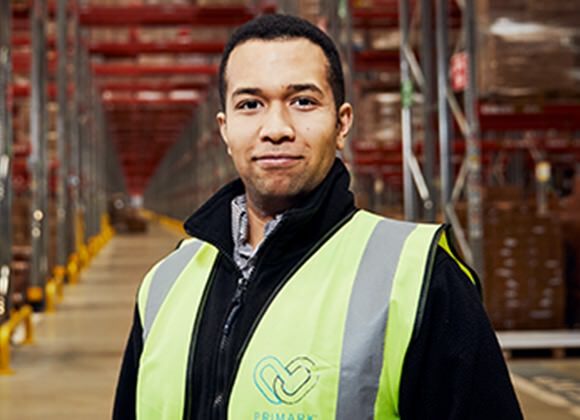 I studied a Master’s degree in Global Supply Chain and Logistics and I chose Primark because it has a truly global supply chain – from Asia and Africa to Europe and America. I felt that it was a company where I could really use the skills that I've learnt at university and it's great in terms of future prospects. From day one, I was given loads of responsibility. Not coming from a management background before, I've learnt so much by managing such a big team. You've got 50 colleagues who are under your supervision and expect things from you. One of the highlights has been those first few weeks when I was thrown into the job. It's finding within yourself that you have the capability, you can hit those challenging targets, and you can effectively manage a heavy, varied workload. In a few short weeks I have grown so much, adapted, and taken full charge of my department. All of the Managers at every level, they're really approachable and easy to talk with. They were very supportive when I relocated as well. I'm now living in Kettering, I think it's an undiscovered gem, quite a few Londoners have relocated here and I expect many more to do so in the future. Primark were very supportive of the move, they were always asking if everything was going well. I'm quite an independent person, but it was nice to know help was there if I needed it. It's the people who make the place here. Everyone's a bit of a team player. One of the best things is coming in and getting to see everyone again on the next day at work. 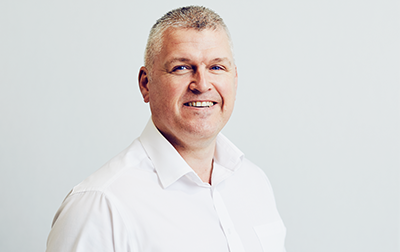 There's fast movement, growth, new products coming in, expansion into different countries, there’s so much opportunity, which is really attractive and it makes working here really enjoyable. It gives you a carrot to keep chasing because you know that there's always something in the distance. The people make all the hard work worthwhile, getting to know each other as a whole, it’s really good. I have grown so much, adapted, and taken full charge of my department. I started here as a Warehouse Colleague in July 2016, now I’m a Team Manager. I'm one of the Shift Managers on a rotating day shift. I directly manage nine Team Managers and anything upwards of 150 colleagues.